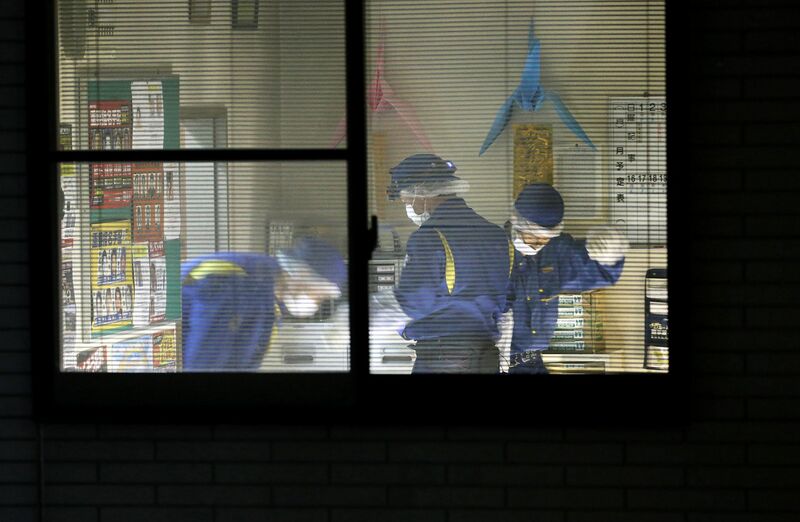 TOKYO - A police sergeant was shot dead on Wednesday night (April 11) in Shiga Prefecture in western Japan, sparking an hours-long man-hunt for an armed fellow officer who investigators said was their top suspect. The alleged assailant, a 19-year-old armed rookie policeman, was nabbed at around 1.35am (12.35am in Singapore) after about five hours on the run. He has confessed to the murder, police said on Thursday (April 12). According to the police, the suspect said he was motivated by anger as the sergeant had insulted him. The shooting took place at a police box in front of the JR Kawase Station in Hikone City, a residential area located near Lake Biwa, which is Japan’s largest lake and a popular tourist spot. The victim, who was found bleeding from his head and back at about 8.45pm, has been identified by Japanese media as police sergeant Akira Imoto, 41. He is said to have been shot from behind as he was discovered in a seated position, slumped over his desk, the Kyodo News Agency reported. The name of the rookie policeman has been withheld as he is a juvenile under Japanese law. Local broadcaster NHK said he had enrolled in the police academy in April last year and was assigned to the Hikone City police box in end January. The victim was found with his pistol in his belt. But the rookie’s weapon was nowhere to be found, police said last night as it launched the manhunt, urging residents in the area to avoid leaving their homes and report suspicious activity. It was said that there could have been three bullets remaining in the missing handgun. Investigators from the Shiga Prefectural Police Headquarters believe the suspect fled the scene of the crime in a police car, which he allegedly abandoned about 5 kilometres away in the middle of a rice paddy field in the neighbouring Azuso town. Shiga Prefectural Police administration director Hitoshi Takeda was quoted by Kyodo News as saying that it was “extremely regrettable” that the officer had used a police-issued pistol to commit murder. He added that Sgt Imoto was the younger officer’s mentor, and that there had been no indication of any spat between the duo prior to the shooting.